For my solo trip to the Ardennes I wanted to go with lightweight cooking: bags of freeze dried food as diner and a light stove and pot from which I could also drink my morning coffee. 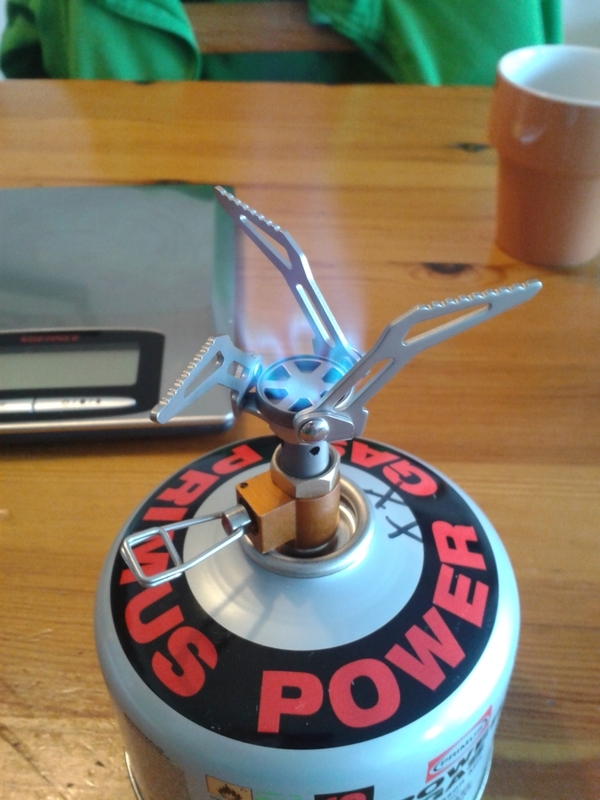 So I bought a sixpack and I started a MYOG project to build a alcohol stove. This project is still ongoing… Do not let my failure fool you: I’m just a very impatient guy. This often results in teared up cans when trying to make them fit together and an angry me deciding to try again in a week or so. I will follow up on that soon. 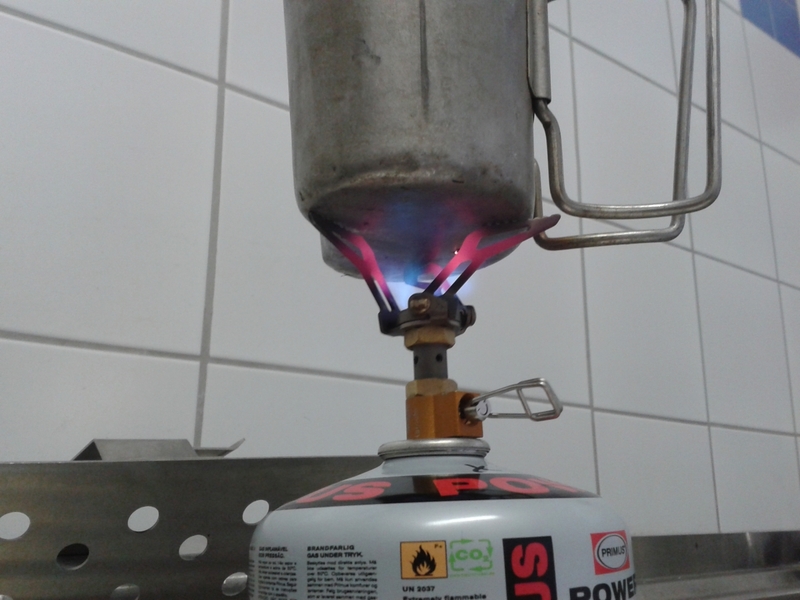 The first failure made me rethink the alcohol cooking for this trip and by the second time I messed up I decided that for this trip I would go with a safe and clean gas stove. Now I own a nice Primus Gravity 2 which burns a whole range of fuels, including gas, but it weighs 365g or 12,9oz and due to its large diameter burner it is not suitable for a small pot. 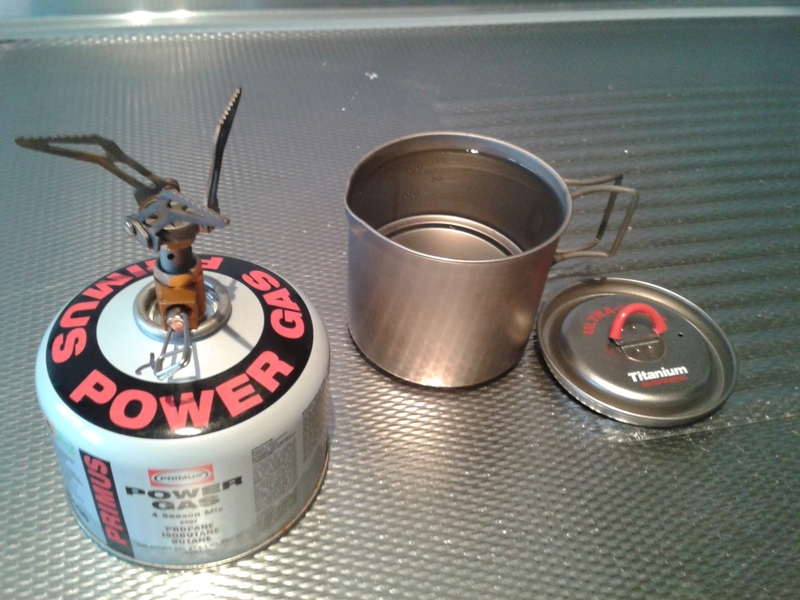 I went for some research and put my mind on a Fire Maple 300t gas stove in combination with an Evernew Titanium Mug Pot 500: 45g for the stove and 74g for the pot (1,6 + 2,6oz). A total weight of 119g, excluding any fuel of course, sounds great! Also, the small stove seems it would fit in the pot together with a small canister of gas, so the used space would be kept to a minimum. Just another plus. I ordered the stove in China and it was soon in my possession. 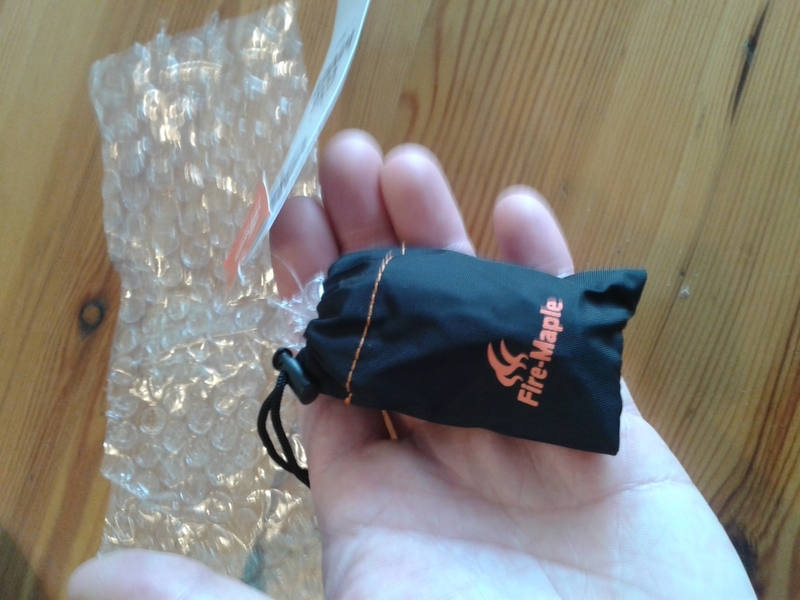 It comes in a little bag, which is nice but fairly useless, and it does what is promised: it’s small and light and it burns gas. The pot stands are titanium and about 1,5mm thick but seem solid enough to hold a pot with 500mL of water on it. The pot I ordered in the UK and this took a little longer to be delivered than expected. It actually took that long, that I had to start my trip without it. Very unfortunate but these things happen. So I had to take a pot I had laying around. The lucky one was a 500mL pot which is used by the Dutch military. A heavy steel pot weighing in at 234g (8,3oz). Quite the difference compared to the titanium one! The size of this sturdy pot is great and you can put it right in a camp fire if you like. But since I was going to rely on a gas stove, this pot is too much. The stove and the pot served me well during my trip. The stove folds in and out like a charm although I noticed the pivot points ran a little less smooth after about 10 uses. This is probably due to the way the pot stands are connected to the body of the stove which is a rivet like joint. 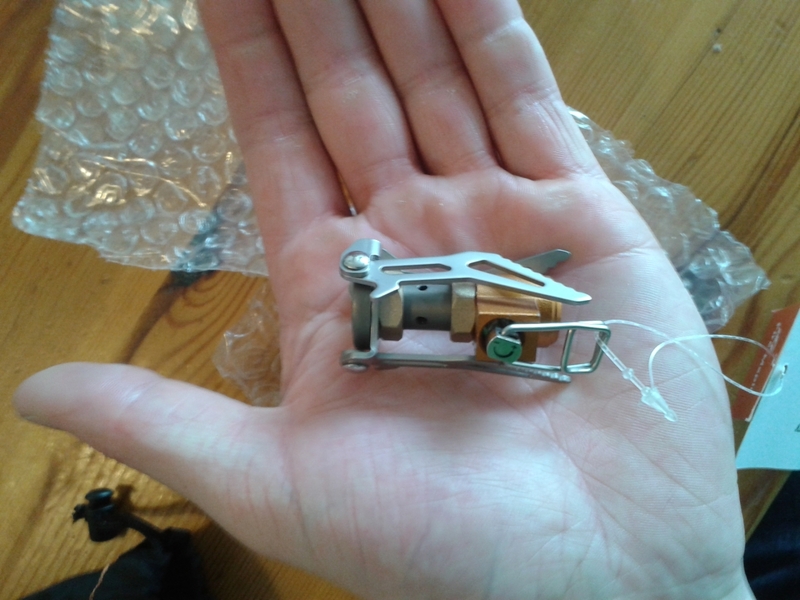 By heating up and cooling down this will expand and shrink every use so there is some wear, but nothing too serious. 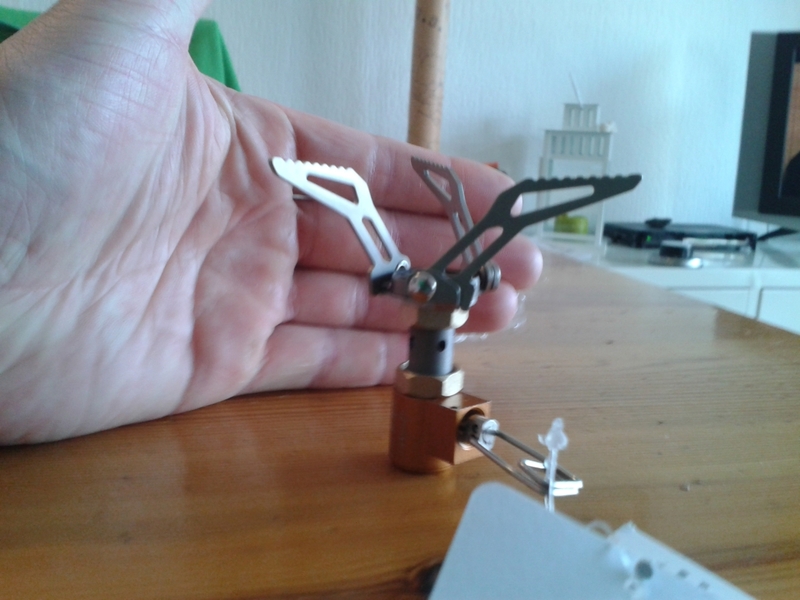 I used it another 10 times during the trip and again a couple of times while back at home and it still works perfect. No worries there. A very cool plus of course, is that you’ll soon see the nice color changes that come with combining titanium with heat. The stove makes quite a bit of noise but not more than any other gas stove will do. The flame is steady and centered and spreads out nicely under the pot. Cooking times for approx. 400mL were around 5 minutes, but I never took measures. Also, I did not always heat up the water to an actual boil since I had tap water available most of the time and for my coffee and tea it doesn’t need to boil, so I could preserve some gas for the trip. I didn’t need saving since I took two gas canisters with me which I had laying around (they also wouldn’t fit inside the Evernew I was planning to take with me). One canister had only 89g (3,1oz) of gas in it and I figured I would use about 15g per day so this canister would run for almost 6 days. Because I did not always bring the water to a full boil I eventually had 7 days where I boiled a coffee, a tea and diner (approx. 1 liter/day). The other canister I used for another 2 days alone and then another 2 days for cooking for two and there is still lots of gas left in it. Cooking for two we did with the Primus Gravity combined with an 1,2L Eta-pot which already proved itself already during previous trips. Cooking times are somewhere between 2 or 3 minutes for nearly 1 Liter of water. The Gravity is a powerful stove and it works well when cooking for a small group of people like a family. For future trips I will look into making an alcohol stove and a small stove for Esbit tablets for which Brian Green deserves credit. Also, in the meantime I had my Evernew pot delivered and I will post a review on this sometime soon. See also more and compare for best prices deals for Outdoor Cooking here!